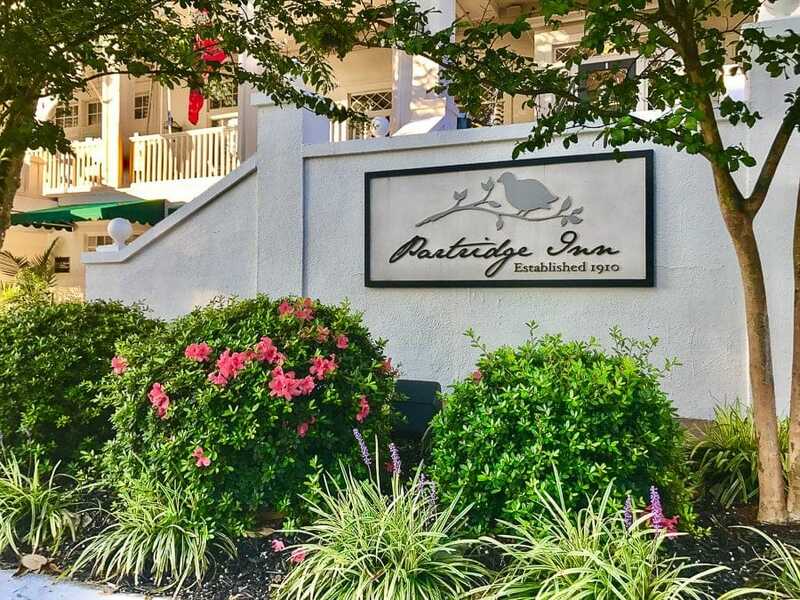 The Partridge Inn in Augusta, Georgia gives the down home feel we all love about the south with an upscale flair that we appreciate in our hotels. 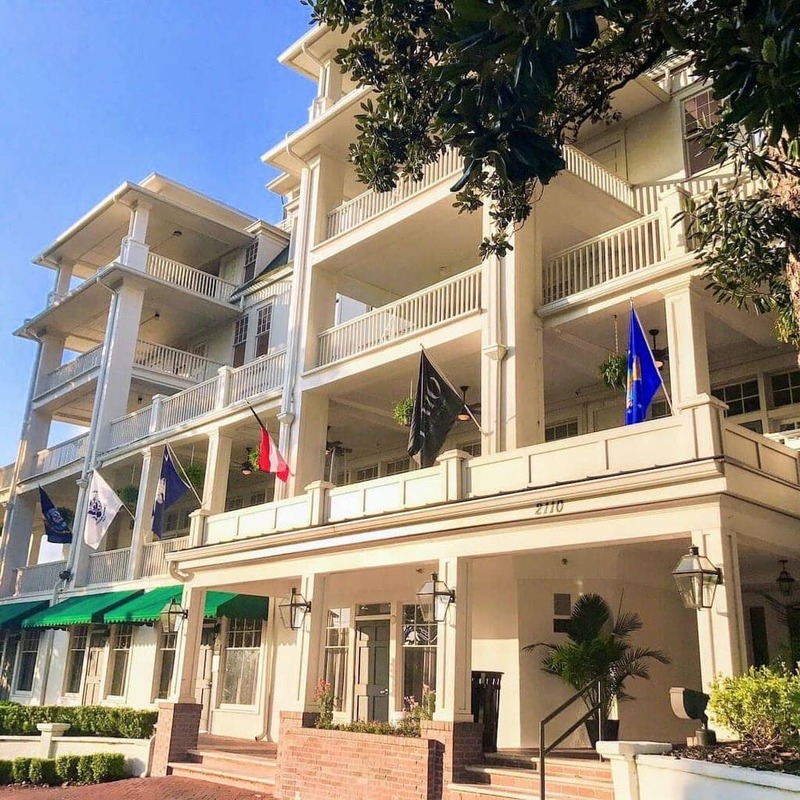 With a posh feel moderated by classic southern sensibilities, it is one of the best places to stay when you’re vacationing or traveling in that area. We recently took a trip to Augusta and stayed at this historic inn. It is as beautiful as it is comfortable, and it’s no wonder why. This hotel is centrally located, with a convenient travel time to just about everything you’d ever want to see or do in the Augusta area. Disclosure: I was hosted by The Partridge Inn for my review, but all opinions are my own and never influenced. The inn had its beginnings as a two-story house built in 1816. It originally belonged to governor of Georgia and one of the state’s three signers of the Declaration of Independence, George Walton. In 1836, it was used as the private residence known as Three Oaks for the Meigs family. Then, in 1892, New York hotelier, Morris Partridge bought the property as a small hotel. The Great Depression hurt the hotel, with various owners over the next three decades. By the 60’s through the 70’s, it was a converted dwelling for long term residents. However, in the late 80’s The Partridge Inn reopened, fully renovated and a historic landmark. 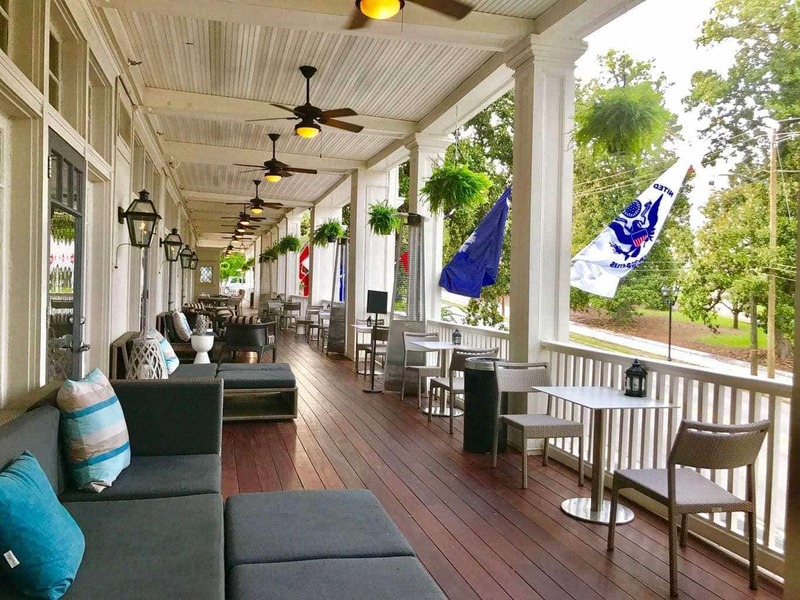 Since then, this beautiful hotel within the Summerville Historic District has been going strong as THE place to stay in Augusta. Fun fact: It’s also listed as one of the twelve most haunted places in the south by Southern Living magazine. But we didn’t see any ghosts. The lobby will wow you with its grand appearance and what you should expect throughout The Partridge Inn. The modern touches of stylish furniture and beautiful elements of decor will surely leave a great first impression. We were pleasantly surprised with the luxurious feel of the rooms, considering the age of the hotel. We slept in some amazing beds – soft but not too soft. The room and bathroom made us feel pampered with their updated finishes and modern decor but still keeping the historic charm. It was a great way to relax after a long day of seeing the sights of the area. At night, we enjoyed watching movies on the 42 inch screen television. Although we were not able to enjoy their fabulous serene pool, it did not stop us from admiring and taking photos. The Partridge Inn offers culinary dining options at their fabulous P.I. Bar & Grill. It was a beautiful night, so we decided to dine outside on their inviting and peaceful veranda enjoying our deliciously prepared meals. For appetizers, my favorite was the tasty Red Velvet Waffles and Chicken with such a delightful presentation. 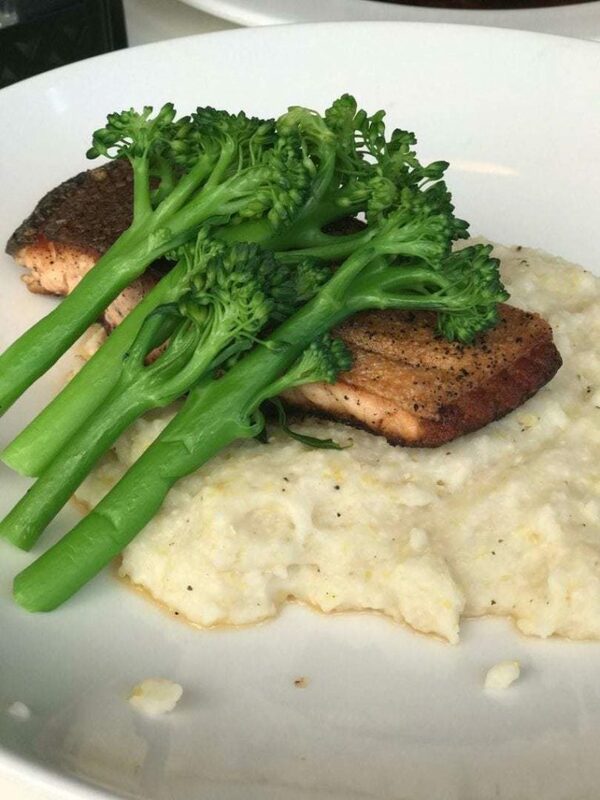 For dinner, I enjoyed the Salmon and Grits paired nicely with the broccoli florets. The Mojitos were also sure to please. P.I. 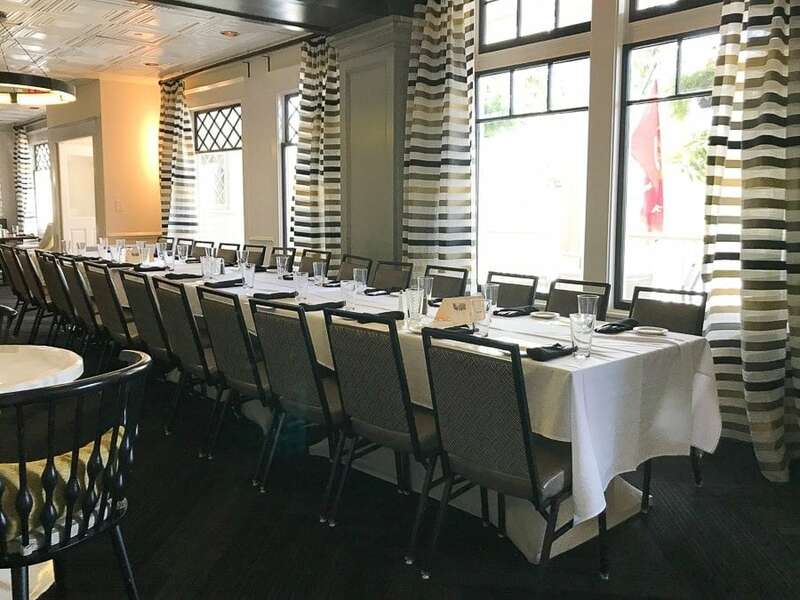 Bar & Grill does cater to large events, parties, and weddings, so this would be a great restaurant to consider. Absolutely fantastic. I could leave it there, and it would cover everything. This hotel thought of everything for its guests’ comfort and convenience. They provide any and everything that anyone would ever want or need, from comfort and convenience amenities to business services. 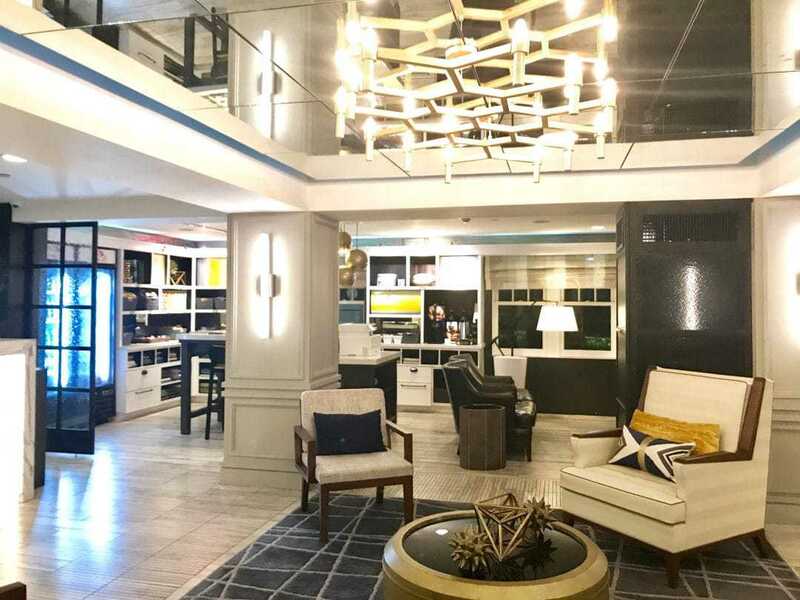 Let me tell you, there’s nothing better than coming home to a hotel that’s as wonderful as the trip you’re on, and that’s what we got with The Partridge Inn Augusta. If you’re planning a trip to the Augusta area, I highly recommend The Partridge Augusta. 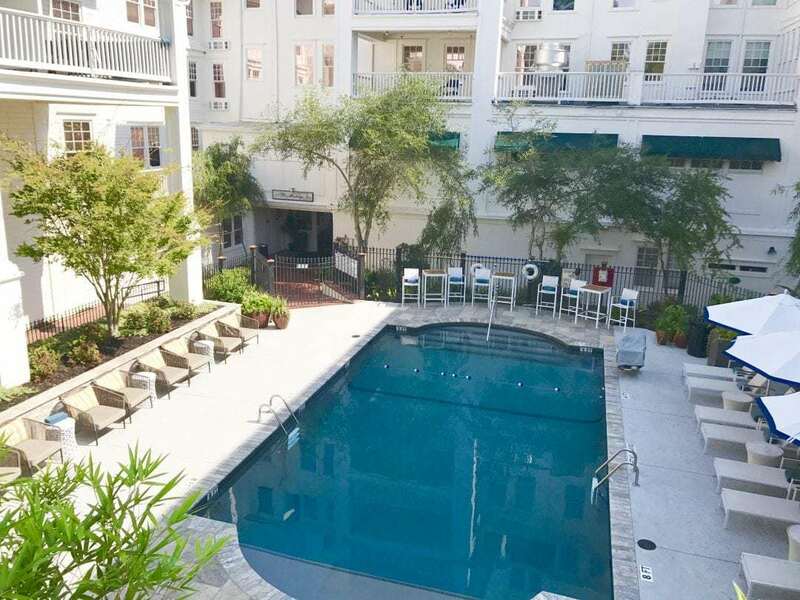 It has just the right mix of posh and southern charm that will please anyone.